Chicago was a tumultuous and exciting city in 1889. Immigration, industrialization, urbanization, and politics created a vortex of social change. This lively chaos called out for both celebration and reform, and two women, Ellen Gates Starr and Jane Addams, responded to this challenge by founding the social settlement Hull House. Although Addams is one of the most famous women in American history and a major figure in sociology, Starr remains virtually unknown. 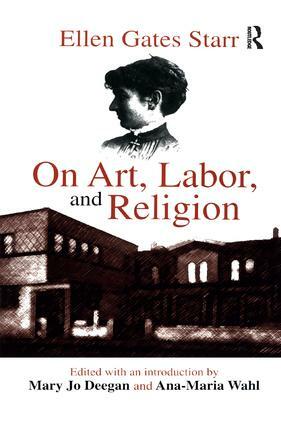 On Art, Labor, and Religion is the first anthology of Starr's writings and biography and makes evident her contributions to national and international sociological thought and practice.